Tom McEvoy was born in Grand Rapids, Michigan on November 14, 1944. Tom McEvoy had been playing poker ever since he was five, and got in trouble numerous times during grade school for playing poker. He started playing poker full-time after being fired from his job as an accountant in 1978. Tom McEvoy won his first World Series of Poker bracelet in 1983, playing in the $1,000 Limit Holdem event. Six days later, he won the 1983 World Series of Poker Main Event. He has a total of four WSOP bracelets, the third coming in 1986 at the $1,000 Razz event, and the fourth coming in 1992 at the $1,500 Limit Omaha event. Tom McEvoy has been a big proponent of non-smoking poker tournaments, and in 1998 he helped organize the first non-smoking poker tournament. Its success proved that players would put away their cigars and cigarettes in order to play poker. In 2002 he made a deal with Benny Binion Behnen to give him poker lesson in exchange for making the WSOP a non-smoking tournament. 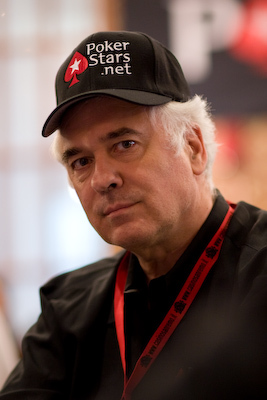 Tom is the author or coauthor of more than a dozen poker books, including four books that he has co-written with T.J. Cloutier.